McALLEN — A judged denied bond for a Nebraska man accused of making off with more than $10,000 in a bank robbery earlier this year. 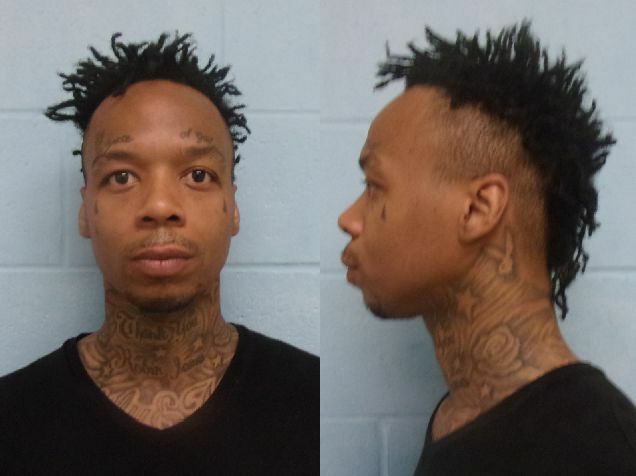 U.S. Magistrate Judge Peter E. Ormsby denied bond for Kenneth Shante Jones, who was making his second appearance in federal court Friday for his scheduled preliminary and detention hearings, court records show. The 37-year-old man was arrested in mid-April after local police tracked him down to a south McAllen hotel room shortly after he allegedly made off with more than $10,000 in cash as a result of a bank robbery. On April 17, Jones is alleged to have held up multiple bank tellers at a bank in the 3300 block of North 10th Street in McAllen, according to the complaint filed against him. He’s accused of using what was later determined to be a BB gun in the robbery. Jones allegedly made off with more than $10,000 in cash — some of which contained marked bills, authorities said. Officers also utilized surveillance video and determined Jones hailed a taxi away from the area where he had allegedly abandoned the vehicle. Authorities called the taxi company and were able to determine Jones was dropped off at a hotel in south McAllen, the complaint states. “Employees of the hotel were able to identify the suspect as (Jones),” the complaint further states. Once Jones’ room and location were determined, they waited for him to exit his room before placing him in custody, with authorities finding the clothes Jones was wearing and cash “exceeding” $10,000 in addition to several marked bills, the complaint states. Jones, who will be represented by federal public defense attorney Michelle Lynette Taylor, will remain in federal custody pending court proceedings and trial.